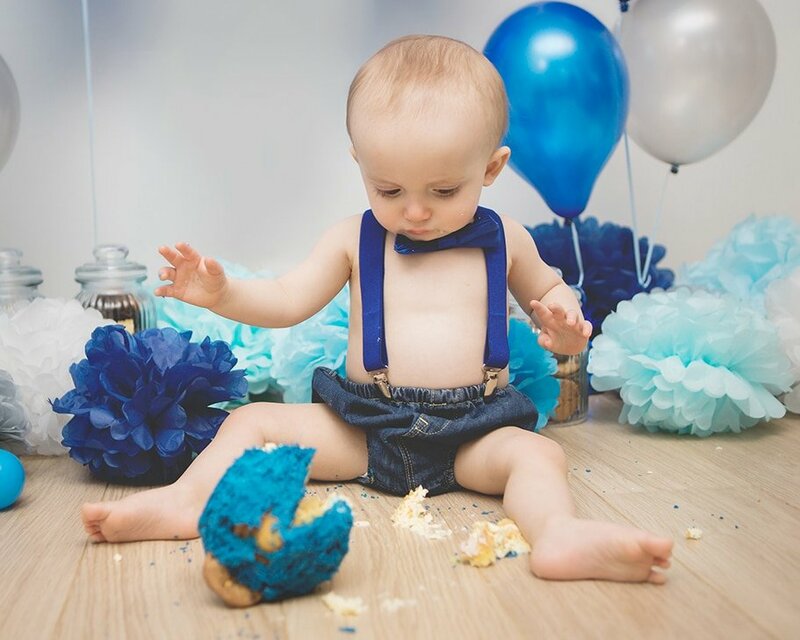 Cake smash photography sessions have grown in popularity over the last few years and it is the most fun a child can have to celebrate their birthday. 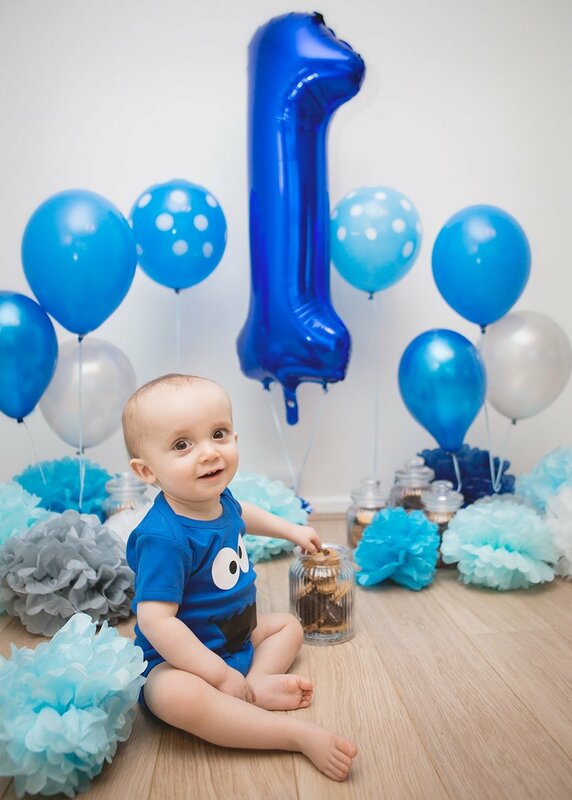 My cake smash sessions are usually booked to celebrate a 1st birthday but they can be great fun for 2nd and 3rd birthdays too. 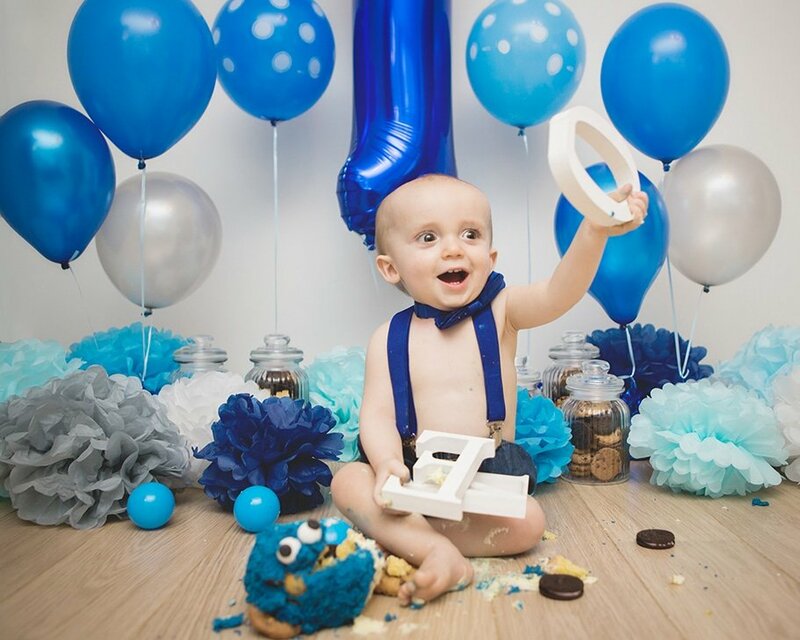 One of the great things about cake smashes is how unique and personal each session can be, from the cake decoration to the children’s outfits there are endless themes and props to really show each child’s personality. 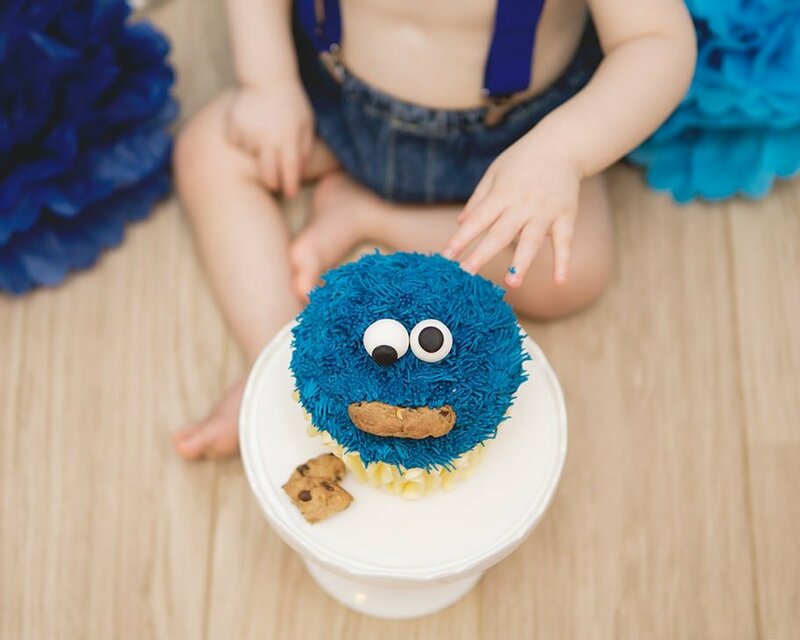 You can also see a child’s personality in the way the session unfolds in front of the camera, some children are really reluctant to make a mess and hate having sticky fingers, in these sessions children usually have very messy feet instead. 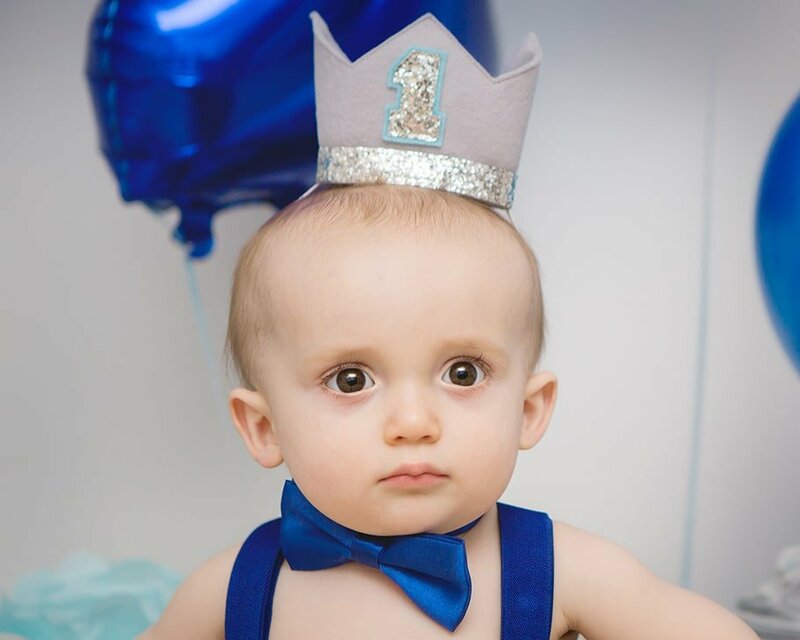 On the other side of the spectrum you have children that have no fear and get stuck right in. 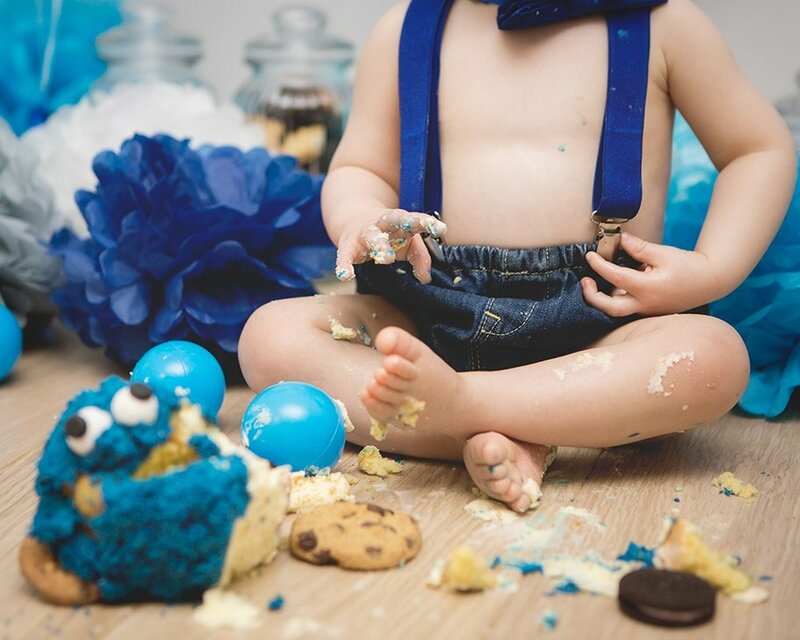 Every cake smash session is different! 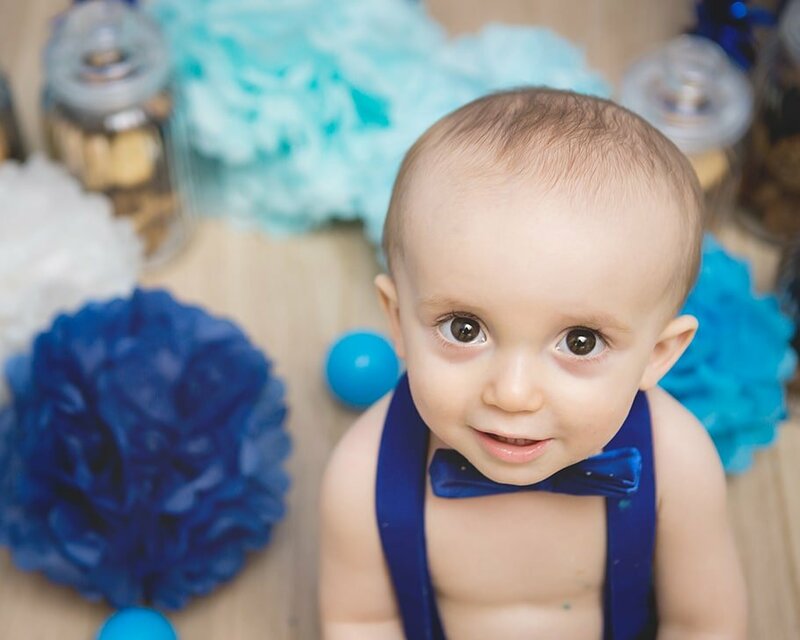 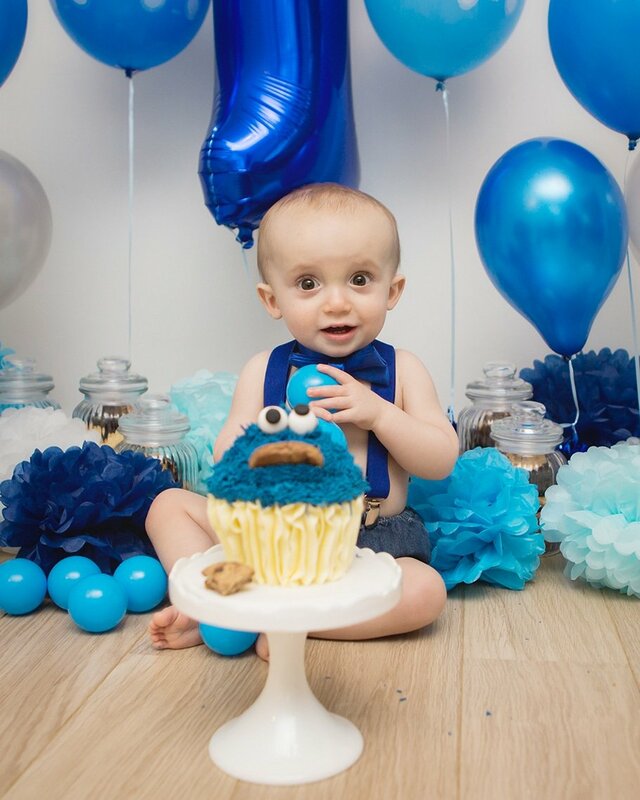 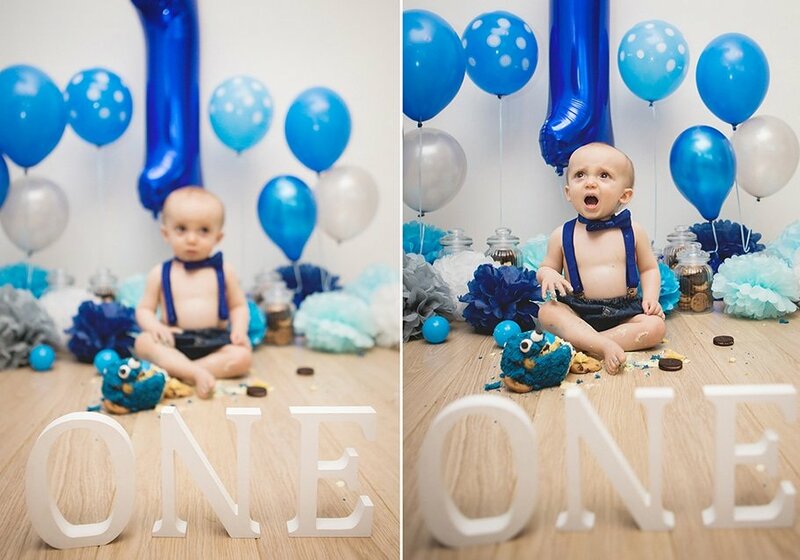 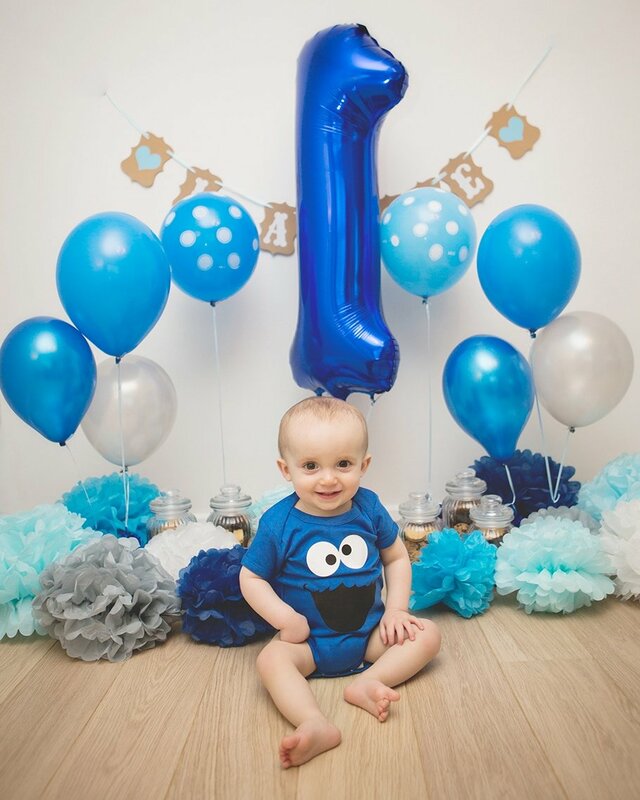 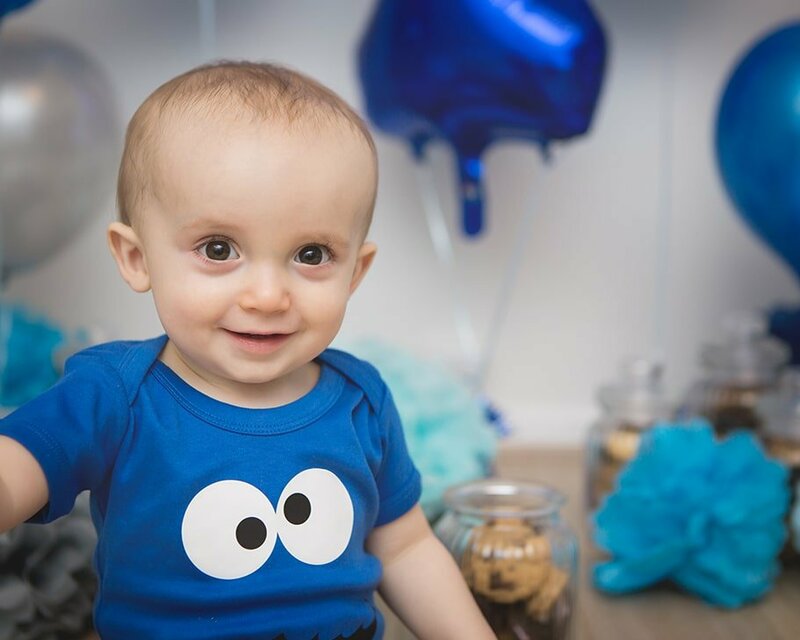 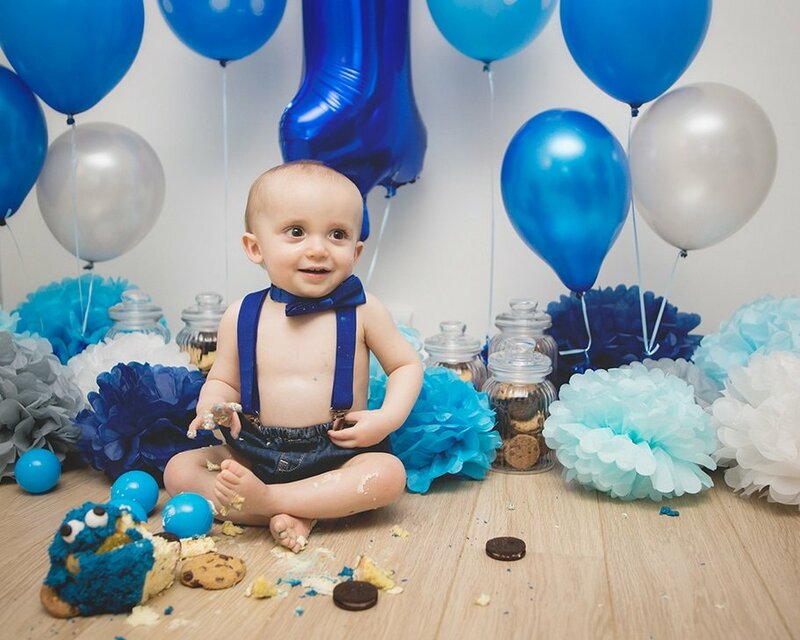 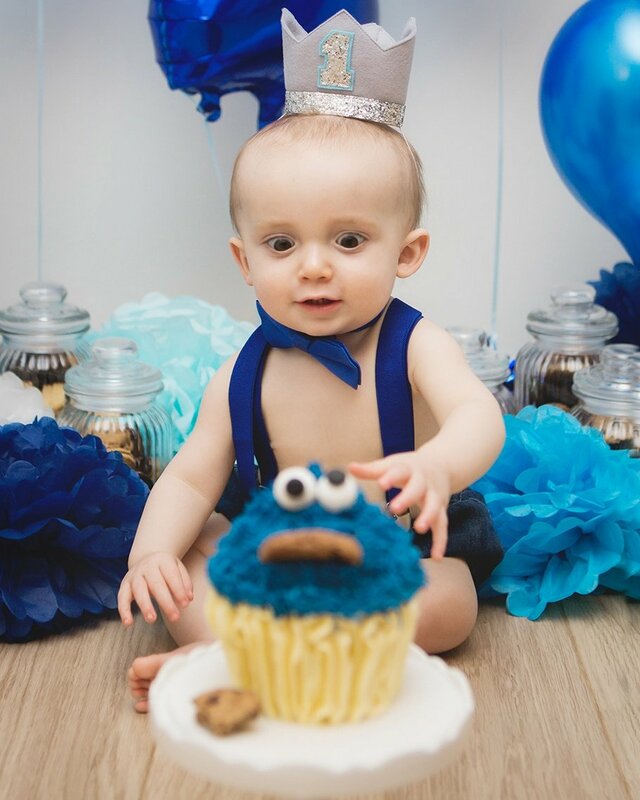 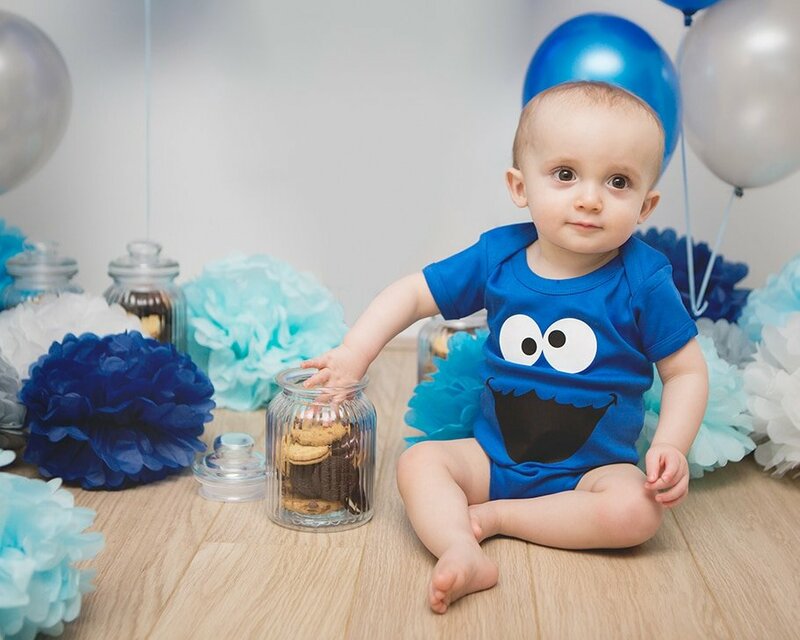 When I was contacted by Hugo’s mum I was very excited to get started, she had a Cookie Monster theme planned for Hugo’s session and sent me a few images of the set up she was hoping to accomplish. 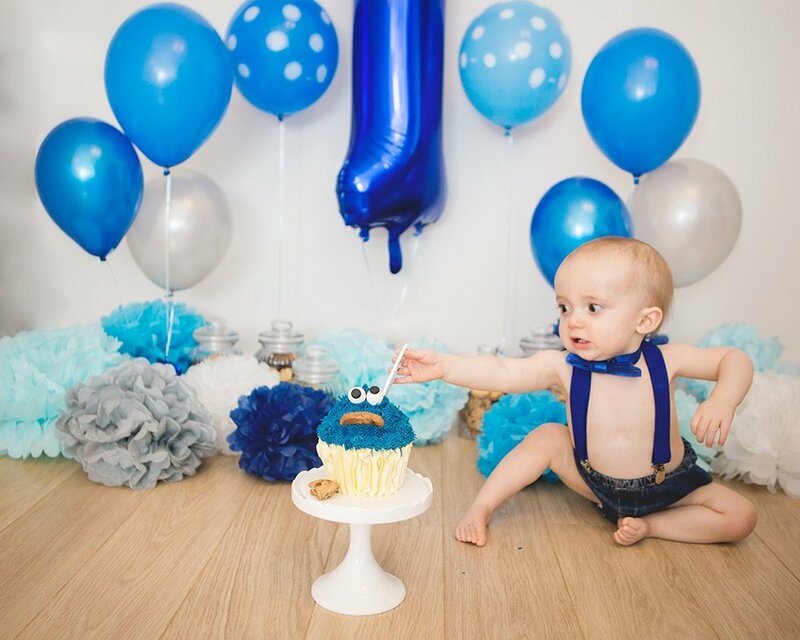 When I arrived I was amazed by the effort put in for the decoration, it look great and Hugo had a couple of very cute outfits to wear so we broke the session down into two halves. 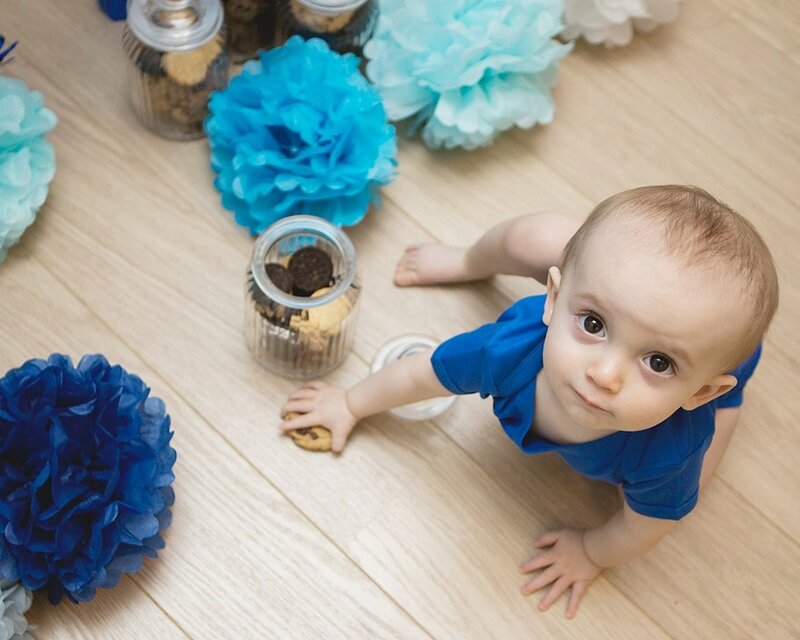 We started off just letting Hugo loose on a jar of cookies, this allowed him to get use to the camera and have a bit of fun. 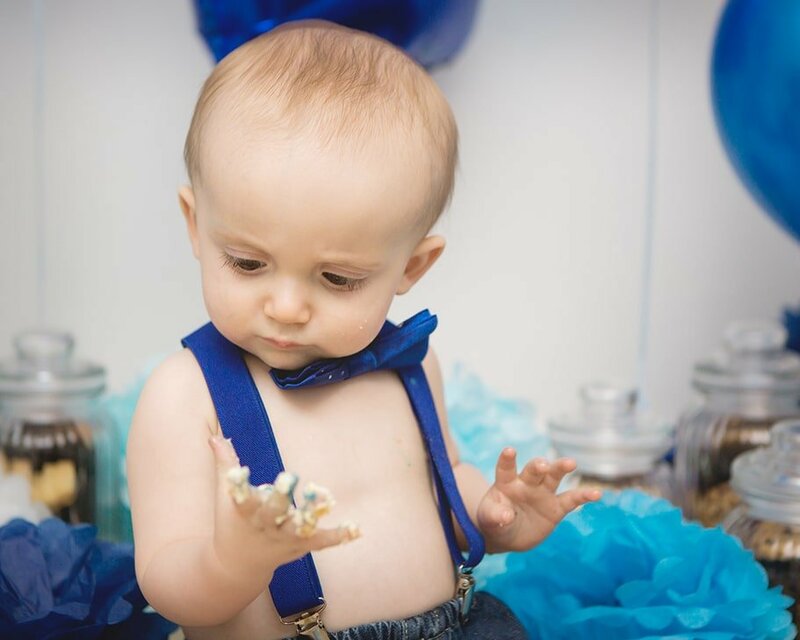 Then we moved on to the cake, Hugo was put into a gorgeous set of blue silk braces and bowtie that completed the theme perfectly. 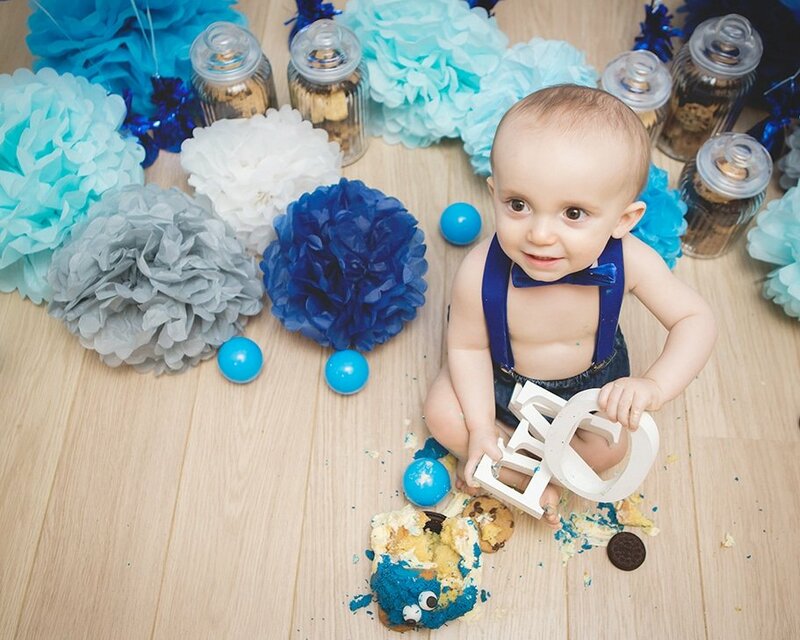 Hugo was a cheeky little man and we got some really wonderful images, although he didn’t eat much he certainly had fun and made a nice mess by the end. 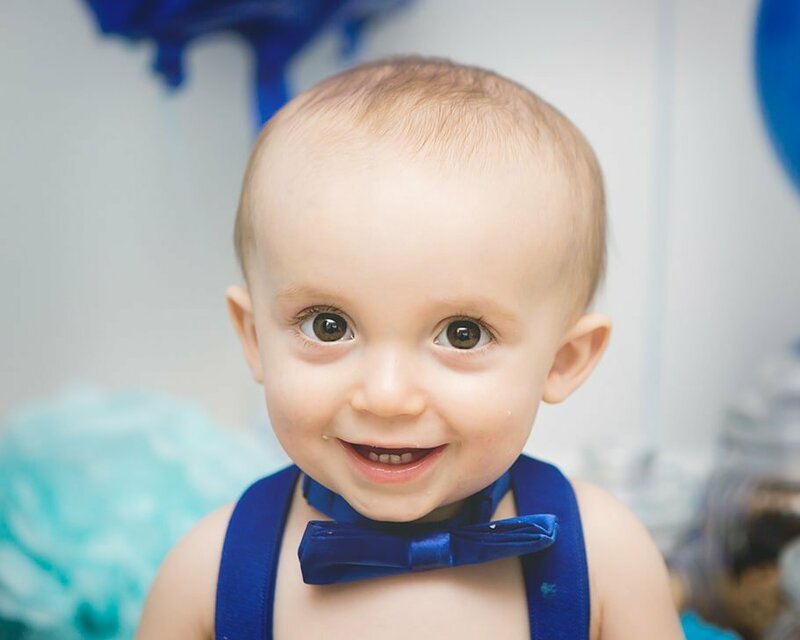 Make sure you scroll all the way to bottom see of Hugo’s images t his gorgeous smile. 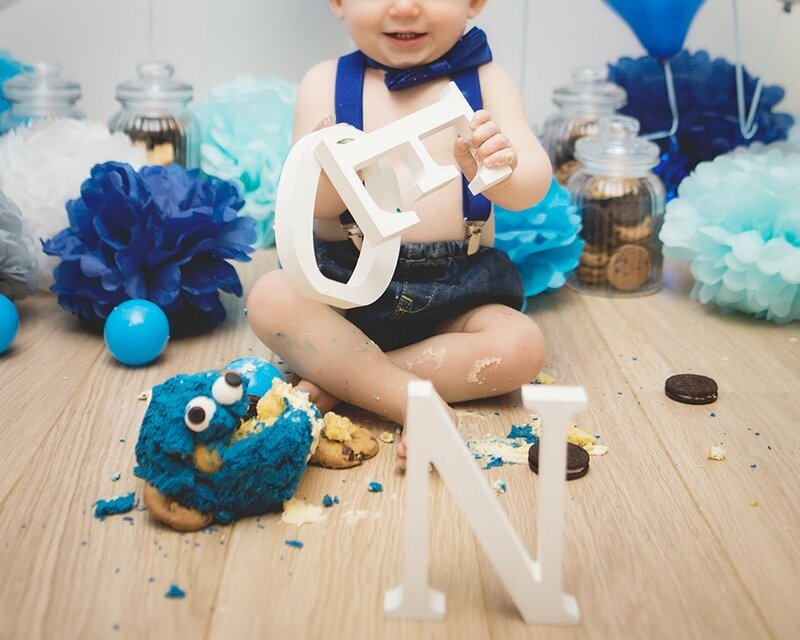 If you have been thinking about booking a cake smash for your little one then now is the time to do it. 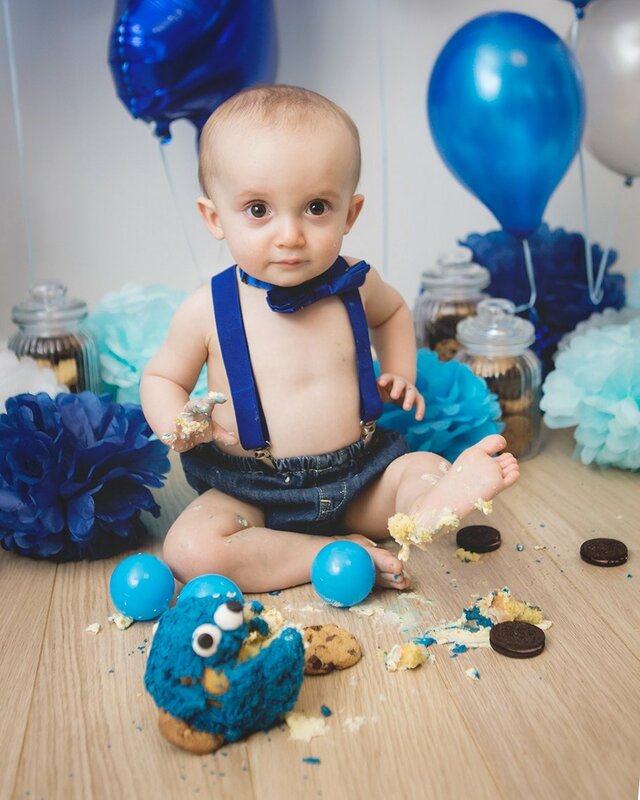 In the next 2-3 weeks my cake smash sessions will be going up in price and I wanted to give people the opportunity to book before I make any changes. 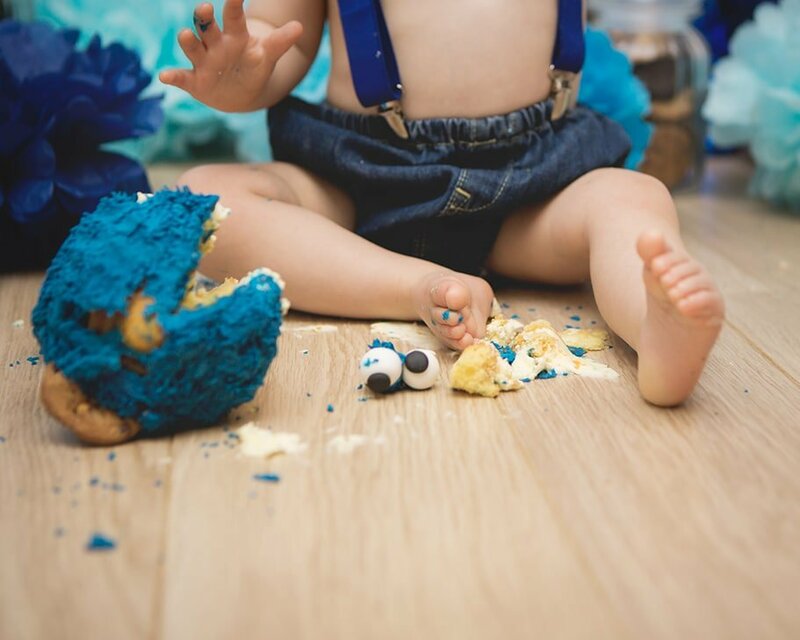 You can book at the current session price for any date in 2017 so don’t hesitate to book your cake smash session now for later in the year.